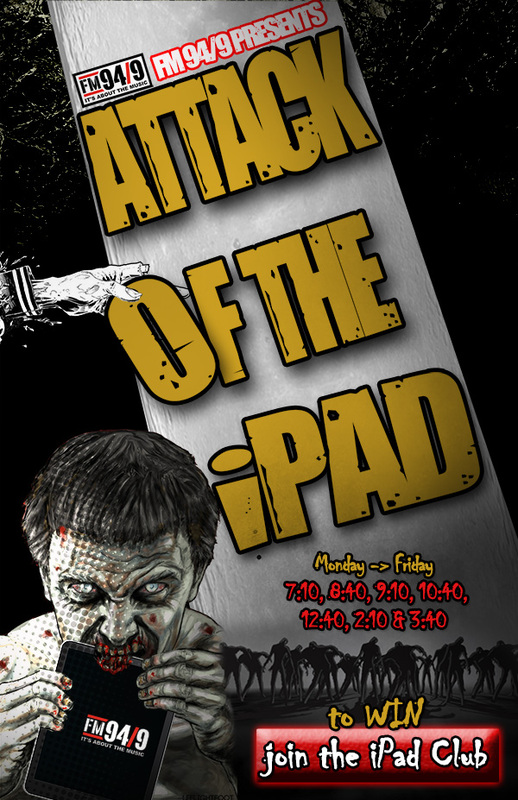 Today starts the last week of 94.9’s “Attack of the IPad” call-in challenge. It’s free to sign up and they call out names 7 times a day, Monday-Friday. If you havent signed up just visit www.fm949sd.com and join the party. Make sure that you listen in during the call out times of 7:10a, 8:40a, 9:10a, 10:40a, 12:40p, 2:10p, and 3:40p to hear your name called. When it is, you have 9 minutes and 49 seconds to call in and you WIN!!! There is a new face gracing the street corner of 4th and E St in the Gaslamp, The Commons Bar. 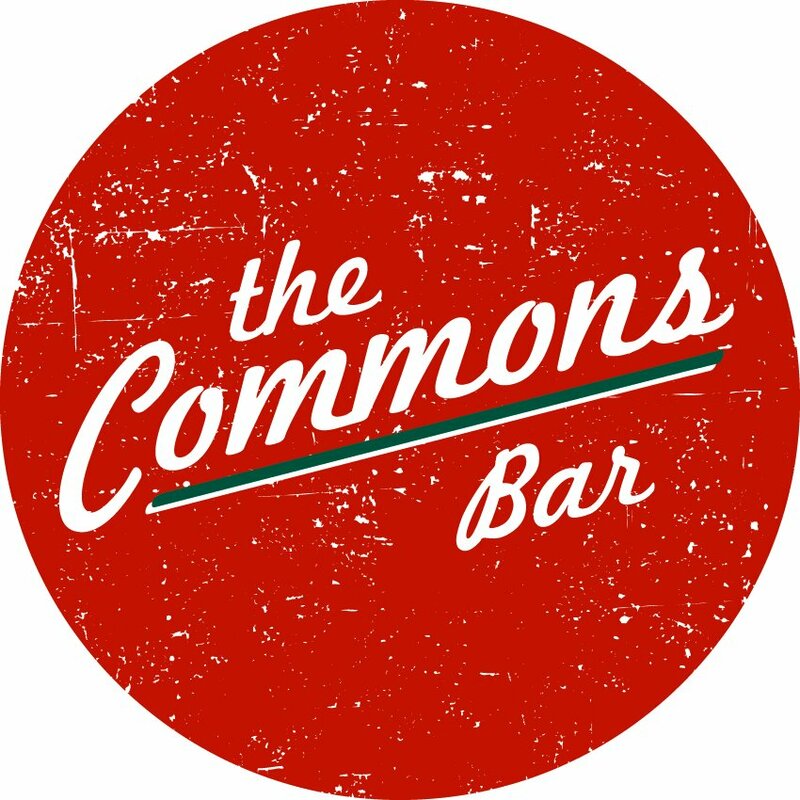 Long time residents of San Diego will remember that the corner was once occupied by The Lincoln Room, but The Commons brings in a whole new feel. Restaurant entrepreneurs Jake Pescatello and Leigh Gibson, the founders of Dirty Birds in Pacific Beach, known for their world-class hot wings, bring over 20 years of industry experience which means that The Commons are in good hands here in Downtown San Diego. The Commons has a fun, relaxing atmosphere with big screen tvs mounted all around the bar. With NFL Sunday Ticket showing, you can catch any game that’s playing. The bar also has a Times Square style sports ticker running above the bar that keeps you up to date with all of the days scores. For the inner child, head upstairs and play Shuffleboard or Foosball. If you can make it out for a breakfast on a Sunday, you wont be disappointed. The breakfast menu is great and you don’t have to worry about missing any of the games. Next time you’re looking for a relaxing place to grab some food or drinks, check out The Commons on 4th and E st. In an article originally read on www.espn.com, we learned about some changes happening over at PetCo Park in San Diego. 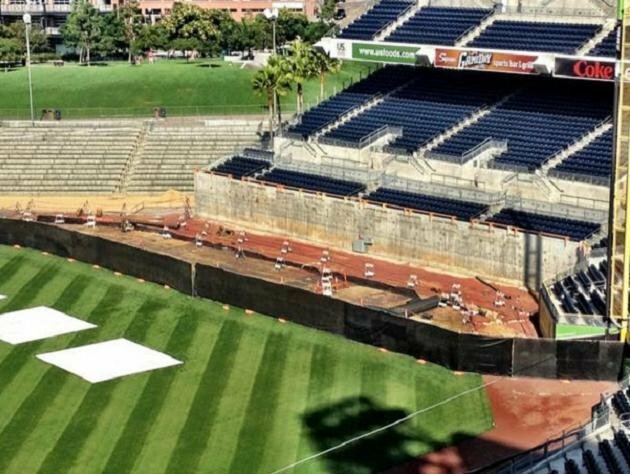 The Padres have made plans to move in the right and left center field fences to make the ballpark more hitter friendly. Since the ballpark was built in 2004 in Downtown San Diego, the park has built a reputation as a “pitchers park” for its huge outfields. Both the right-center and left-center field fences will be moved in about 10 ft from their current dimensions and the right field wall will be lowered to match the rest of the park. The visitors bullpen will also be moved from the right field foul to up above the Padres bullpen in left-center field to improve player safety. The damp night air early in the season also affects fly balls. General manager Josh Byrnes said moving in the fences is just one factor for a team that was fourth in the NL West at 76-86, 18 games behind San Francisco. For the second straight year, the eyes of the college basketball world will be centered on Downtown San Diego. The “Battle on the Midway” will be held on Sunday, Nov 11th at 1pm and marks the season opener for the San Diego State Aztecs and Syracuse Orangemen. 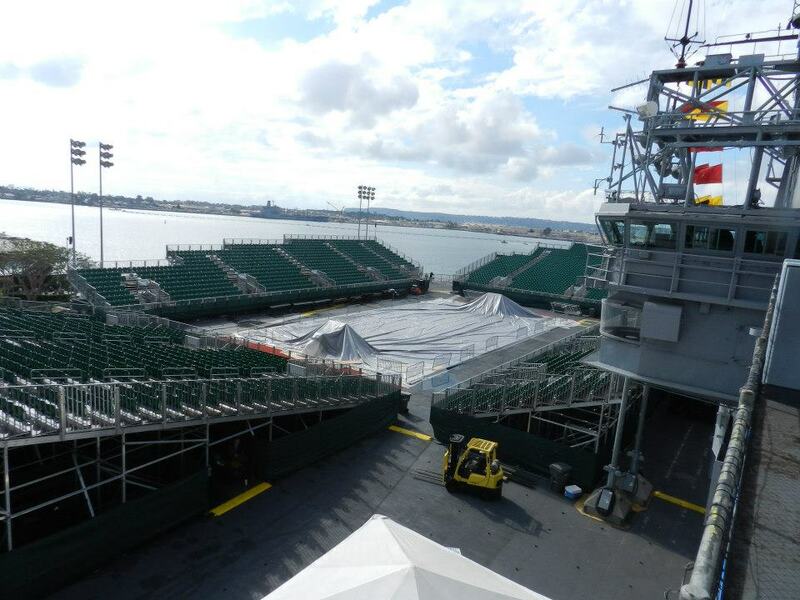 Last year, the game was played on the USS Carl Vinson in Coronado Bay and drew a national audience and even an appearance and pre-game speech from President Obama. The event will be nationally televised and a great opportunity to showcase the beauty of Downtown San Diego. Tickets are on sale now starting at $150 at www.battleonthemidway.com or www.goaztecs.com. 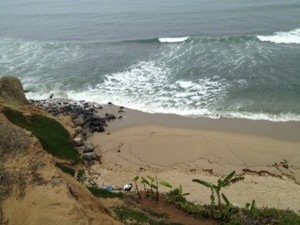 Thursday Brokers Open House means my weekly trip to Point Loma’s Sunset Cliffs. A great place get away, think and enjoy amazing views. As I was walking my dog tonight I was thinking about the areas of Downtown San Diego that I liked best. The Gaslamp has world-class restaurants and fun bars and clubs, always provides a good night out with friends, yet I can’t say that I’d want to actually live there. The parking stinks, noise is unbearable and the traffic in and out can be a bear. Little Italy and East Village are quickly becoming favorites as both offer great restaurants and a mature, exciting scene. But being a young professional, the price point is still a bit high for my liking… for now. So that brings me to Cortez Hill. Situated between 5th and 10th Av to the west and east and A and Date St to the south and north, Cortez Hill is located close enough enjoy the Gaslamp but not be kept awake by the madness. 7 Highrise buildings within the small neighborhood make it one of the most densely populated areas of Downtown San Diego. Living in Cortez Hill allows you to purchase a coveted ‘residential parking pass’ for $14 per year which is good for unlimited street parking anywhere above Ash St east of 6th. 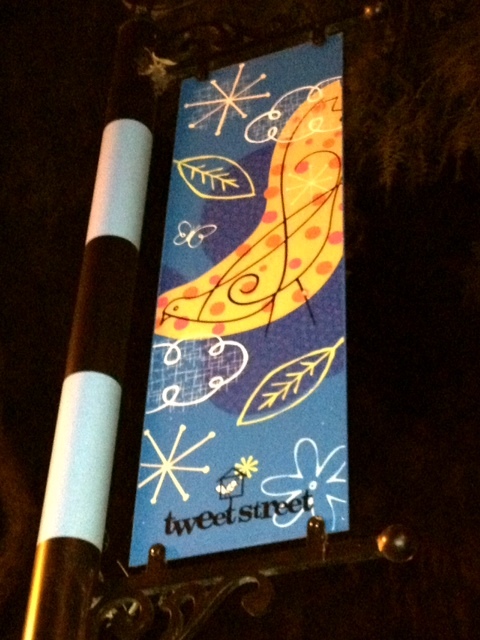 Cortez Hill also has a great park called ‘Tweet Street’ along Date St between 7th and 9th. A fantastic little oasis in the city with a playground for the kids and multiple fake painted fire hydrants for the puppies. Placards are placed along the park that give details about the birds and plants that populate the park for a little education with your fun. 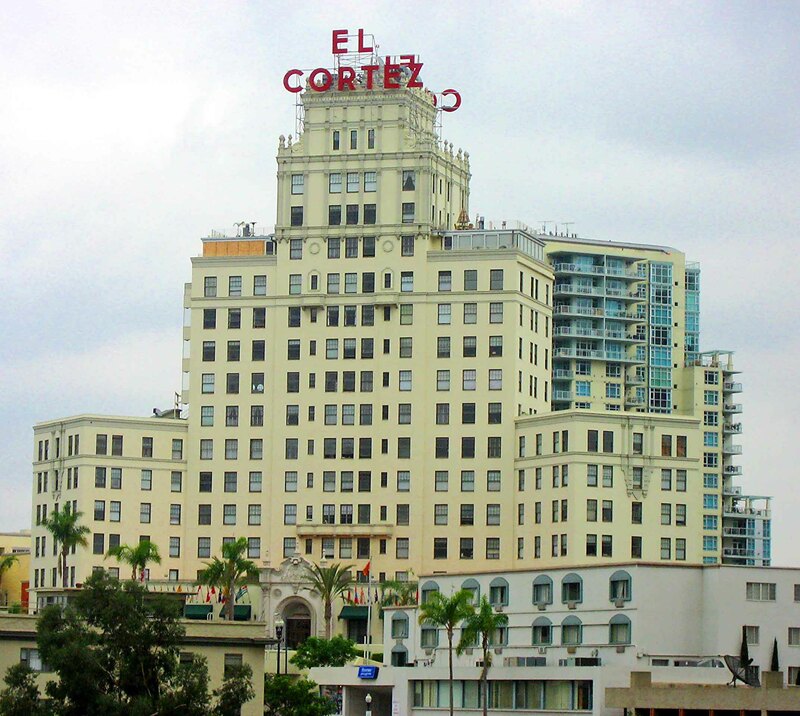 Cortez Hill gets its name from the El Cortez Hotel that has been a San Diego Landmark since 1927. Cortez Hill Real Estate is quickly becoming some of the most sought after real estate in Downtown San Diego. With condo options at Aria, Discovery, CortezBlu and Aloft and apartment rentals at AVA and Vantage Pointe, there are no shortage of residential options in Cortez Hill. If you haven’t made your way over to Cortez Hill do yourself a favor and check it out. Bring your dog to Tweet St Park, you’ll be glad you did. 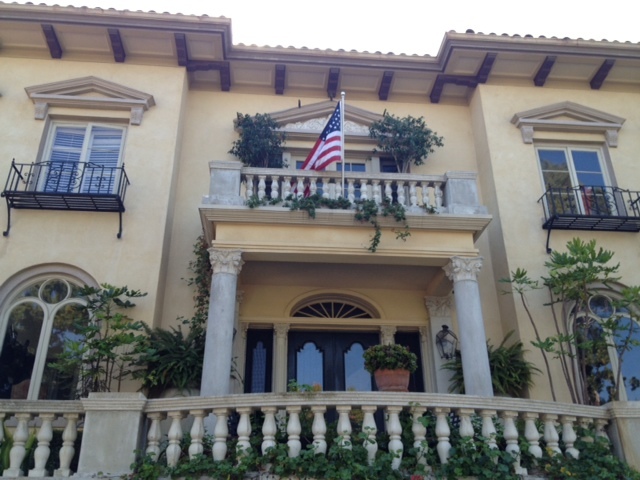 Out on Brokers Open in Mission Hills today and drove by this beautiful house in Bankers Hill. What a great little neighborhood chalked full of history and architecture. Love going to broker open houses in Point Loma’s Sunset Cliffs neighborhood. Always have to stop and appreciate the views. Lucky residents of the Icon highrise condo in Downtown San Diego get to see this view whenever they please, and for that I’m a little jealous.